HOUSTON (KTRK) -- Two men are now accused in a massive theft of thousands of dollars' worth of Levi-brand jeans at several malls across our area. Court records allege Ramirez Nava Rodriguez -- also known as Jose Adan Lopez -- was the leader of an organized group of "boosters" who worked together to steal $56,722, worth of jeans from J.C. Penney stores at Deerbrook Mall, Post Oak Mall, Memorial City Mall, The Shops at Stone Park, Willowbrook Mall and The Woodlands Mall. Jose Isabel Del Angel, 54, is also accused of taking part in the theft effort. J.C. Penney claims in court records that the robberies happened like this: Rodriguez, 41, would reportedly remove the electronic tags from the jeans using a tool, and then open J.C. Penney shopping bags he had hidden in his pants, and conceal the pilfered jeans inside. A J.C. Penney investigator further claims Rodriguez would use the so-called "matador" method -- alleging he would pick up a shirt to shield what he was doing, fill the shopping bags, and then walk out of the store with bulging bags of jeans he didn't buy. J.C. Penney alleges Rodriguez would then load up his car trunk, and then go right back into the store repeatedly, resulting in the loss of thousands of dollars' worth of merchandise, court records show. The listed thefts in court documents show the 15 reported thefts go back as far as 2012. In November 2015, three reported thefts at a College Station store resulted in more than $10,000 worth of stolen jeans, records allege. Court documents show J.C. Penney's investigator claims Del Angel's part in the theft was to move the merchandise to a rental storage facility and sell the merchandise. After conducting an undercover sting in the case, the investigator claims Del Angel would sell the jeans at Sunny Flea Market for $30 a pair. In the sting, the investigator says Del Angel gave him his cell phone number in case the officer, who was posing as a customer, wanted to buy more jeans. 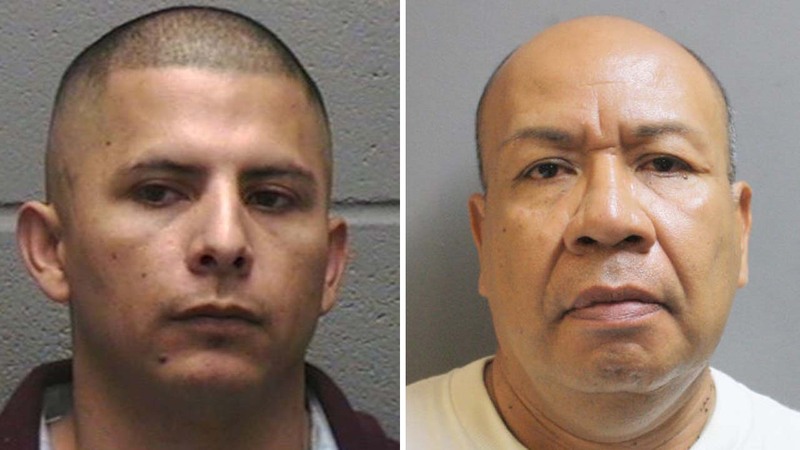 Rodriguez and Del Angel are charged with aggregate theft. Rodriguez remains at-large. Del Angel was arrested on Saturday.